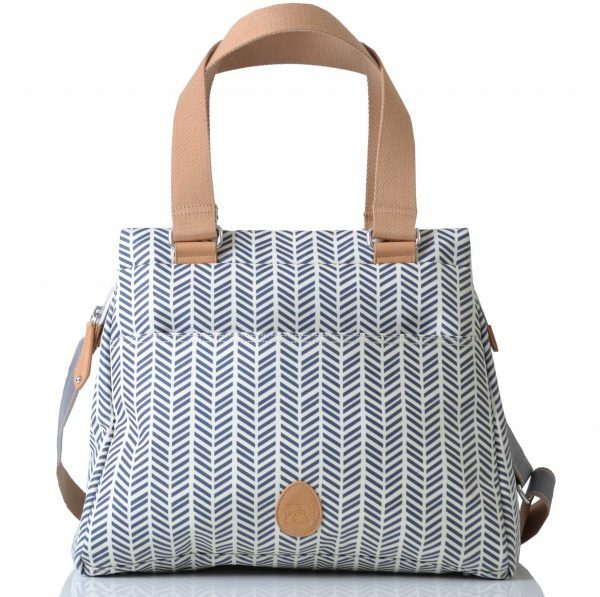 Pacapod Richmond Changing Bag – Herringbone Navy is an effortlessly clean and streamlined classic tote bag, hidden inside this devilishly simple and refined exterior is some clever pocketing and storage – perfect for new Mums. 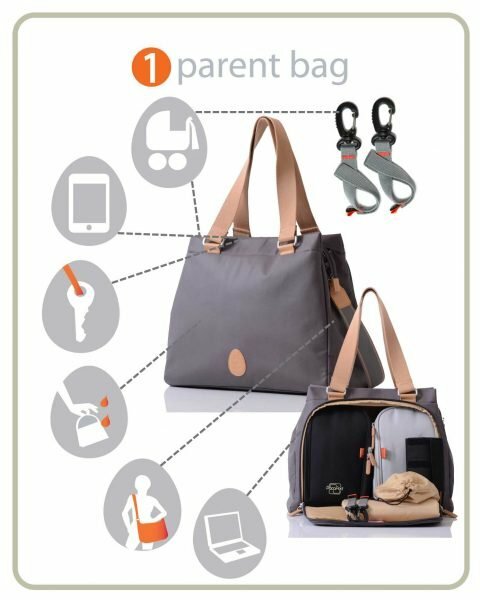 The pods can be quickly removed from the main bag and attached to any buggy, luggage trolley or headrest or dropped at nursery containing food and spare clothes. Pacapod Richmond Changing Bag – Herringbone Navy. 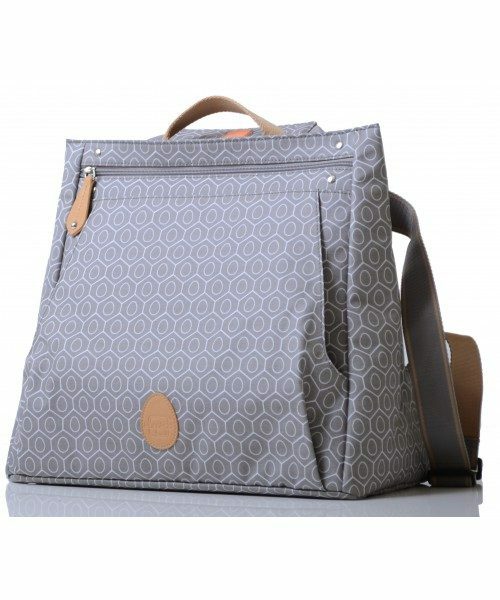 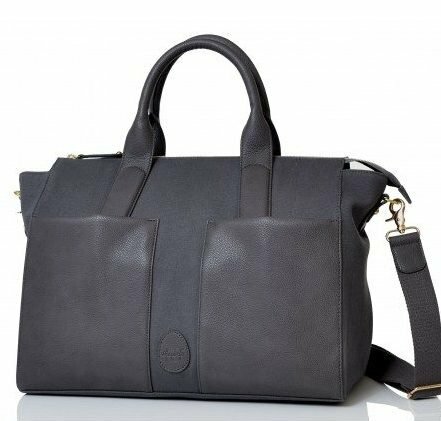 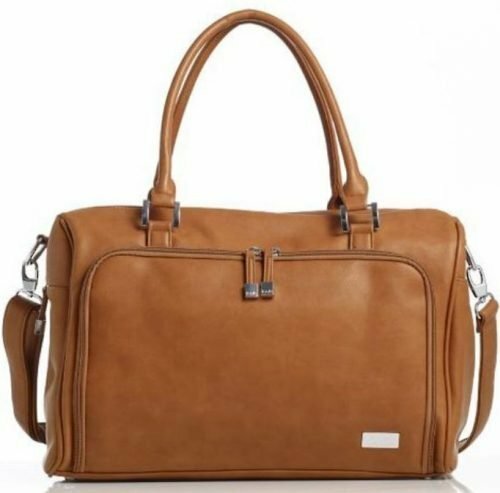 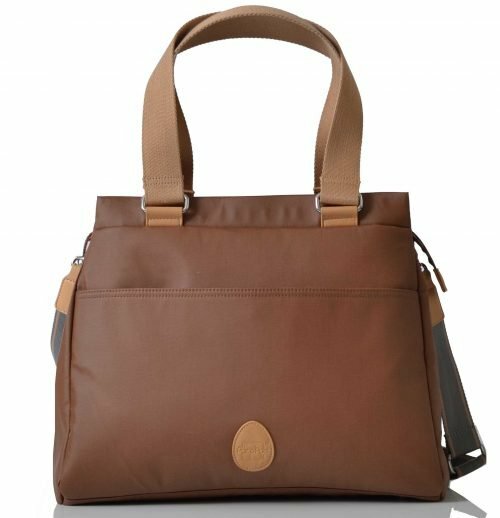 Pacapod Richmond Changing Bag is an effortlessly clean and streamlined classic tote bag, hidden inside this devilishly simple and refined exterior is some clever pocketing and storage – perfect for new Mums. 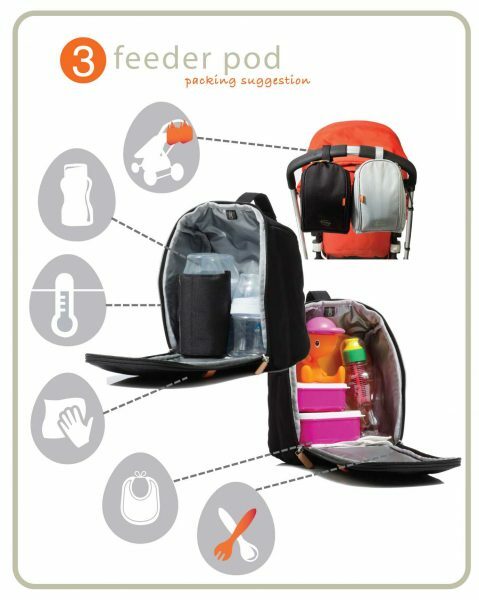 The pods can be quickly removed from the main bag and attached to any buggy, luggage trolley or headrest or dropped at nursery containing food and spare clothes. 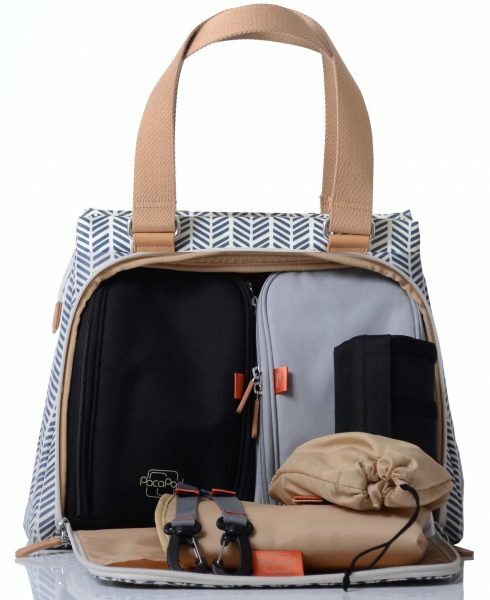 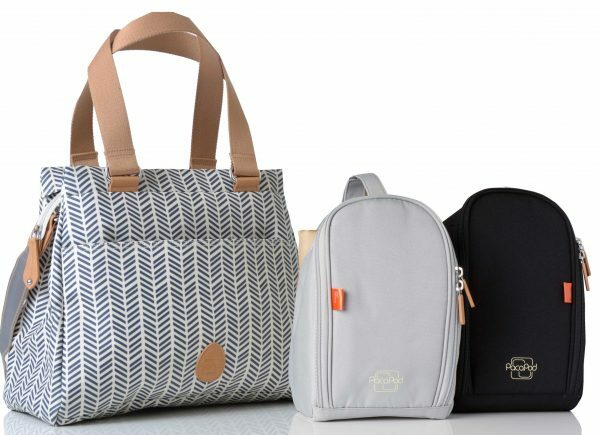 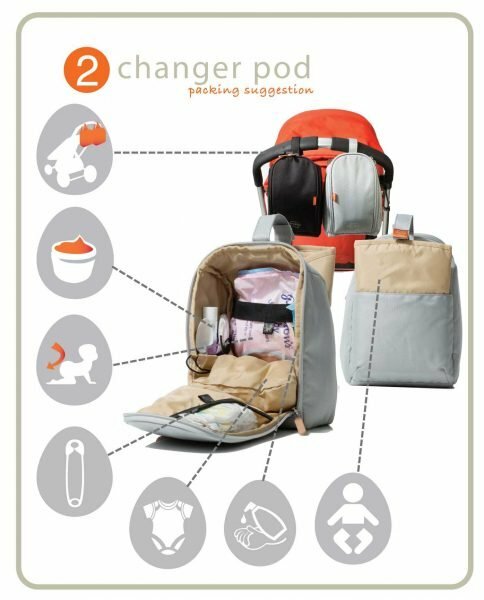 Tucked discretely inside the rear cargo section of the Pacapod Richmond Changing Bag you’ll find clever 3 in 1 baby organisation system with a feeder pod (cool bag) a changer pod, padded changing mat and insulated bottle cover.